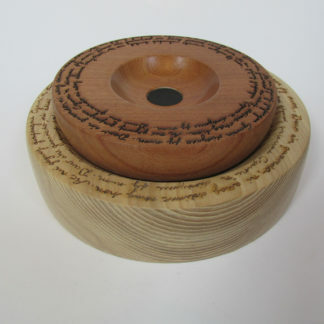 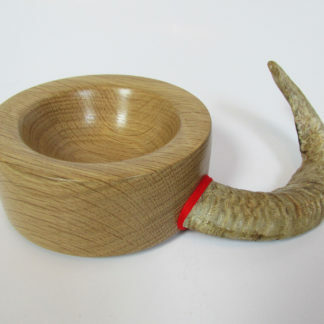 Hand made wood turned bowl with shearing blade attached. 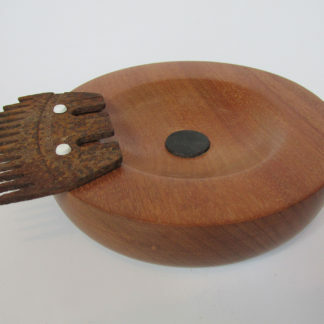 This is a bowl made from Sapele wood, in the middle of the bowl there is a piece of African Blackwood that I found in my scrap pile of turned wood. 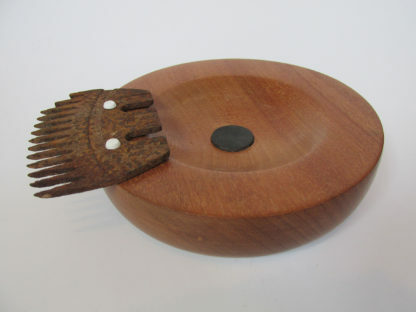 Attached to the bowl is a pair of old and broken shearing blades found on our farm. 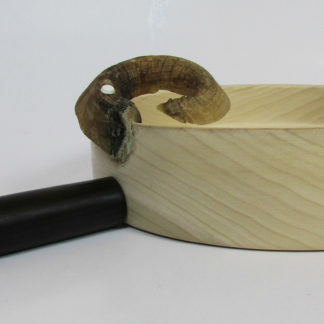 The blades are worn and rusted and had no purpose on the farm, therefore I gave them a new purpose and meaning by attaching them to the bowl, which contrasts nicely with the clean lines and polished surface of the turned bowl.